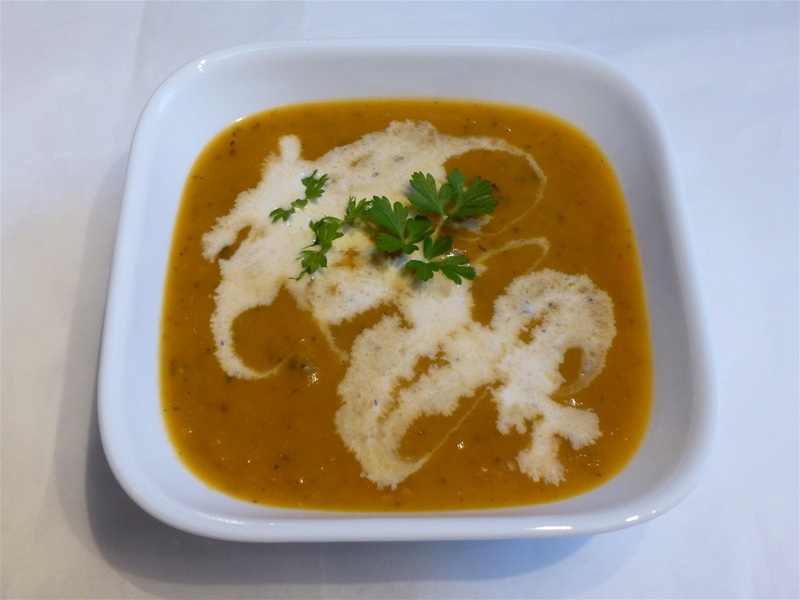 Heirloom Tomato Soup from our 2017 Harvest, finnished with a little Cream and Parsley. 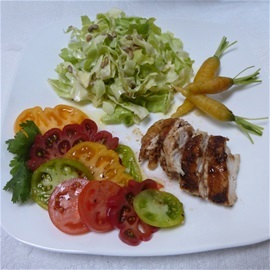 Our Heirloom Tomatoes with home dressing, our Heirloom Cabbage (Golden Acres) with homemade dressing, our Heirloom Carrots (Amarillo) and a beautiful Halal Roasted Chicken. 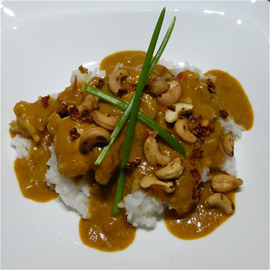 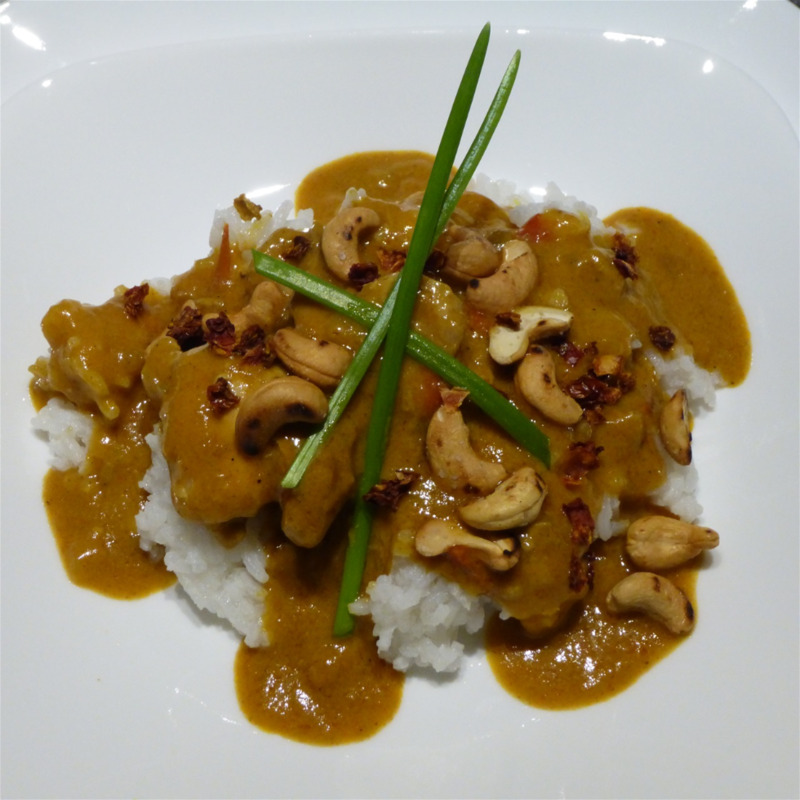 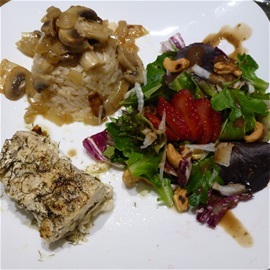 Curry Chicken with Roasted Cashews and Dried Heirloom Tomatoes on a bed of Jasmin Rice. 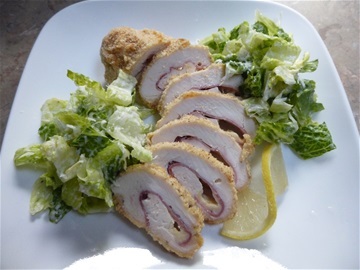 A Cordon Blue type Chicken, but instead of Blue Cheese we substituted with Asiago Cheese and Rosemary Ham with Caesar Salad. 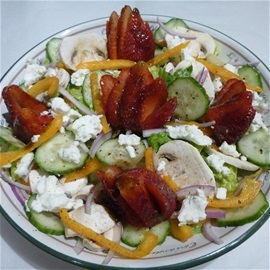 Garden Salad, made with Romaine, Yellow Peppers, Cucumbers, Mushrooms, Red Onion, Strawberries and Goat Cheese... topped with our Balsalmic Vinaigrette Dressing. 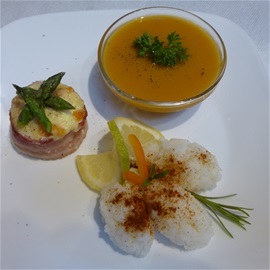 Squash/Carrot Soup with Baked Egg wrapped in Bacon, topped with English "Coastal" Cheddar and Asparagus with Lemon/ Tarragon Jasmine Rice. 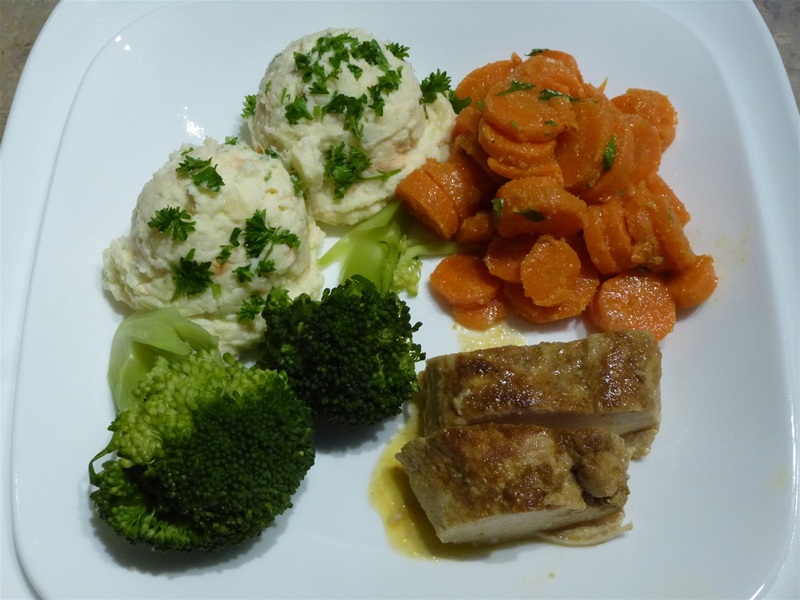 Roasted Chicken Thighs, Carrots, Brocolli and Potatoes with Chives and Sour Cream. 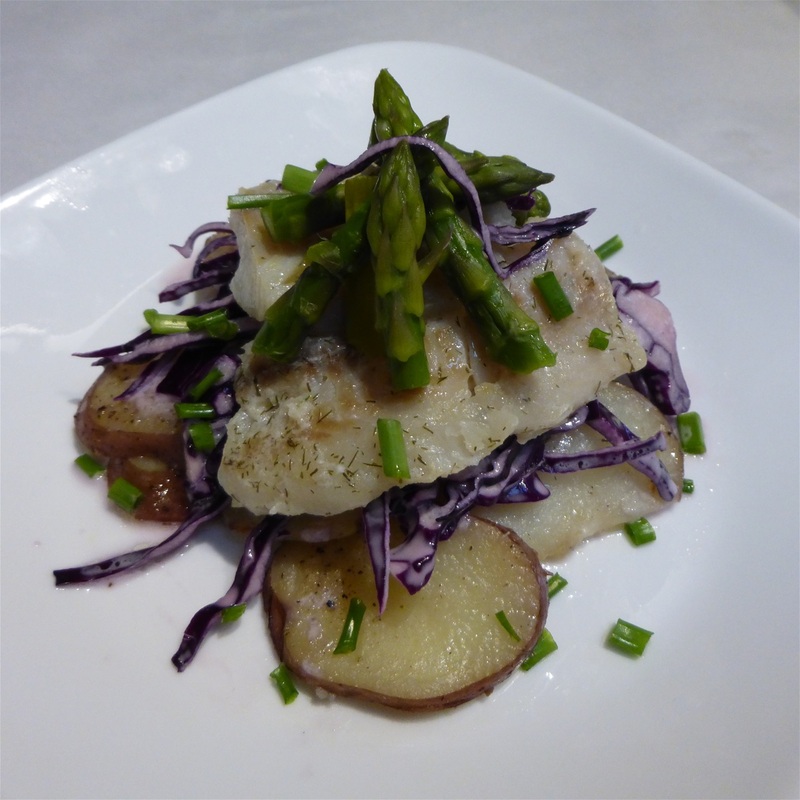 Poached Talapia on a bed of Roasted Potatoes and Purple Slaw with sauted Asparagus and Chives. 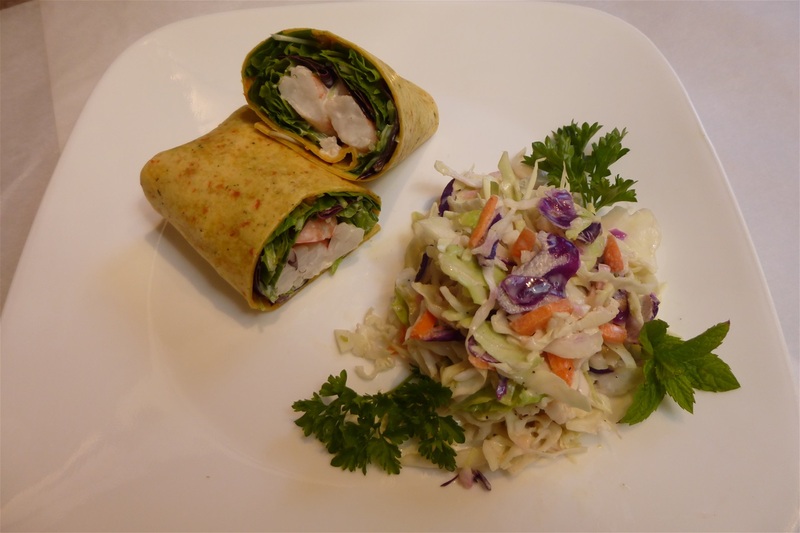 Shrimp Garden Wrap with Slaw and Homemade Dressing. 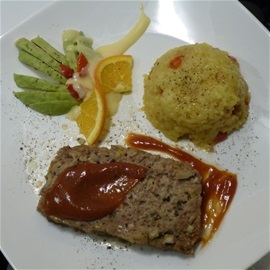 Beef Meatloaf with Roasted Pepper/ Tumeric Rice and Avocado Slices. 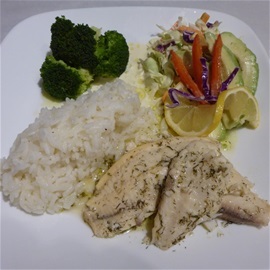 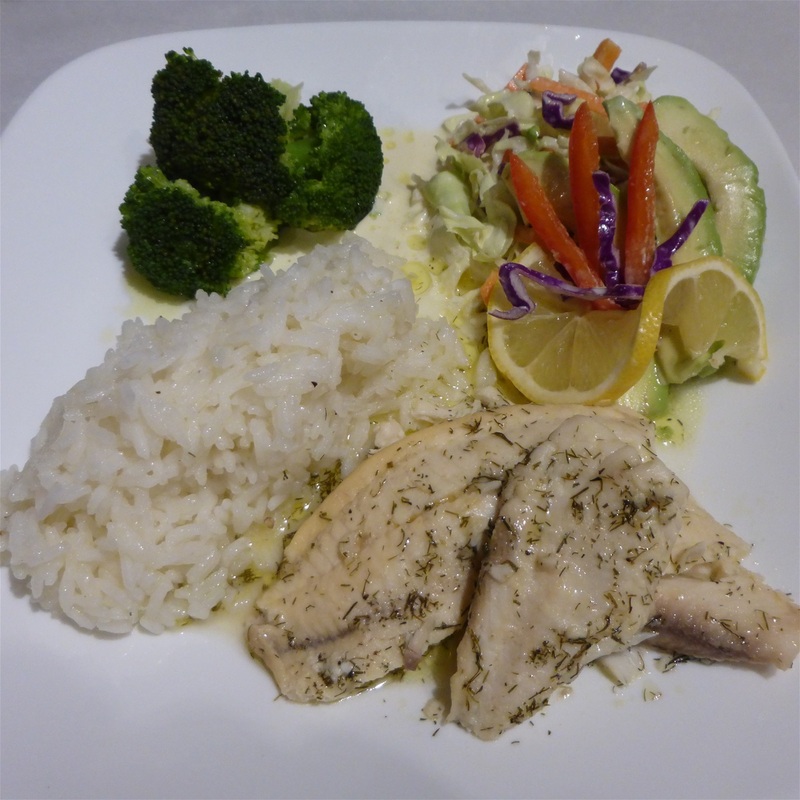 Poached Lemon/Butter Tilapia with Steamed/Spiced Jasmine Rice, Steamed Brocolli and an Exotic Salad with our own Cream Dressing. 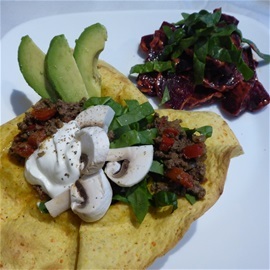 A Baked Vegetable Torillia Shell, layered with a little Cream Cheese and Taco Meat ... topped with Red Peppers, Avocado, Spinach and Mushrooms and a dollop of Sour Cream.... Along with a Beet and Spinach Salad. 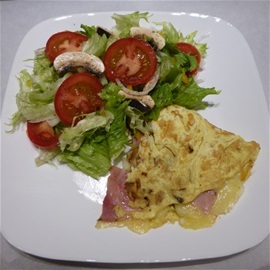 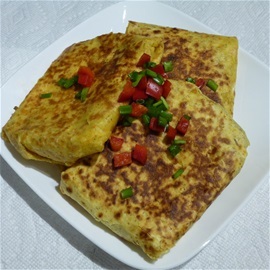 Garden Salad with a delicious "Rosemary Ham and Fruilano Cheese" Omelete made with Onion, Peppers and Mushrooms. 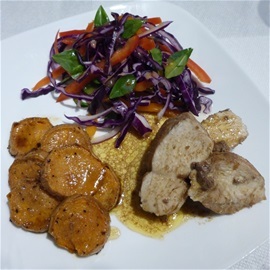 Exotic Slaw with Mango Vinaigrette Dressing, Roasted Yams and Pan Seared Chicken Breast in a Brandy Wine Sauce. 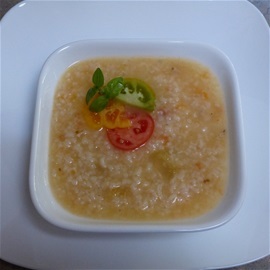 Chicken/Rice and Heirloom Tomato Soup with "Halal" Chicken Broth. 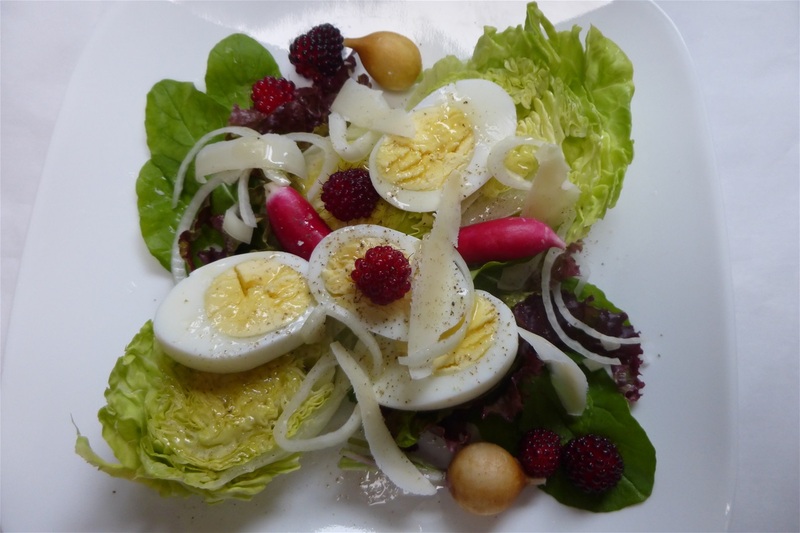 Our Garden Salad: our Buttercruch Lettuce heart, our Red Leaf Lettuce, our Arugala, our French Breakfast and Zlata Radishes and our Salmon Berries, sprinkled with Onion slivers and Asiago Cheese lighly carved, salt and pepper and then scantlly drizzled with our Lemon Vinagrette Dressing. 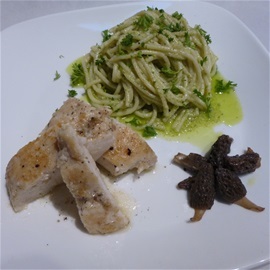 Homemade Pesto with Pasta topped with Parsley, Pan Seared Chicken Breast in a White Wine Reduction and hand picked Sauted Baby Morel Mushrooms. I added extra sauce to dip my bread into.... so good. 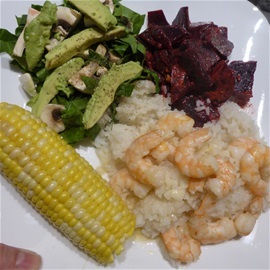 Spinach Avocado Salad, Beet Salad, Peaches and Cream Corn with Garlic Butter Prawns on a bed of Jasmine Rice. White Potato Salad, Carrot Cilantro Salad Steamed Brocolli served with a Chili spiced Chicken Breast. 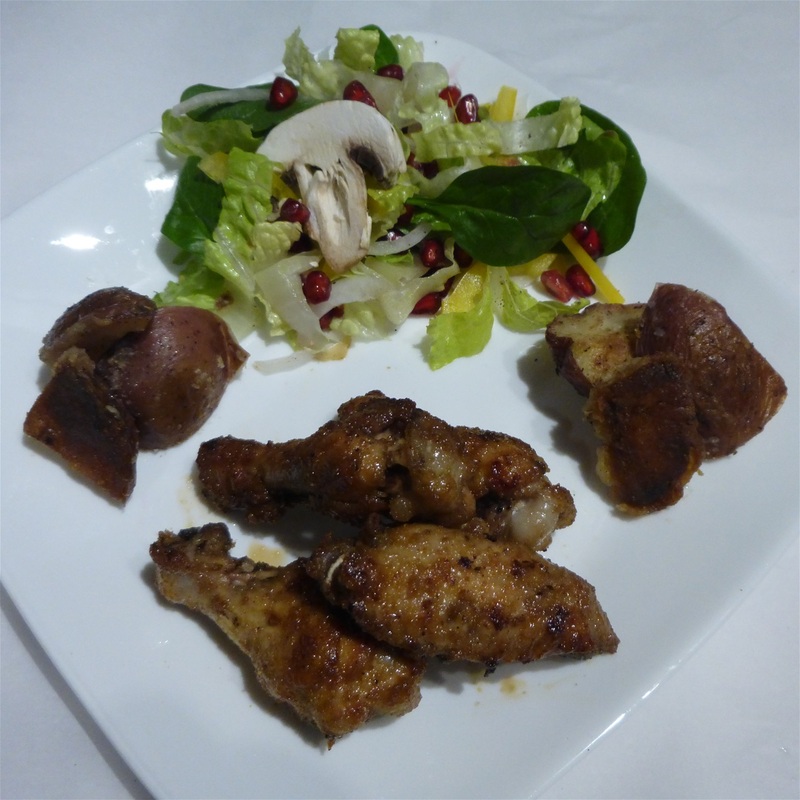 Garden salad w/Pomegranate, Roasted Potatoes and Teriyaki Chicken WIngs in homemade Teriyaki Sauce with our Porcelaine Garlic. 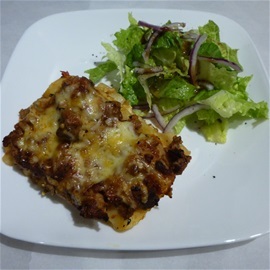 Beef Enchiladas made with Vegetable Wraps. 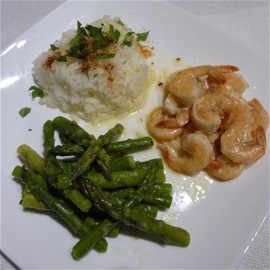 Garlic Prawns with Jasmine Rice and Asparagus. 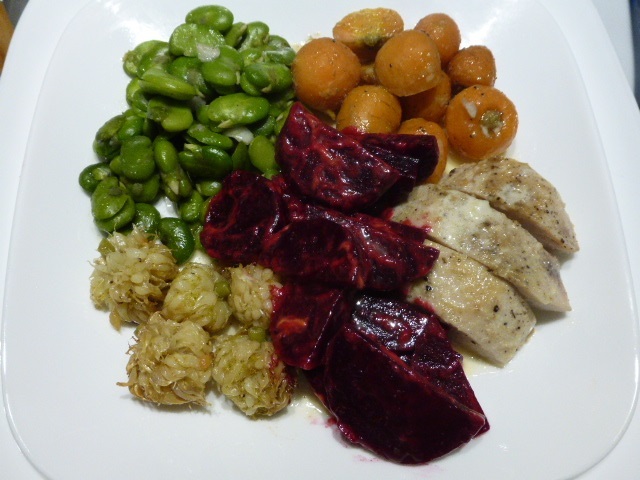 All fresh from the garden... our Fava's with our Porcelaine Garlic, our Parisian Carrots, our Porcelaine Garlic Bulbils, our Detroit Beet Salad with Pan Seared Chicken in a Brandy Cream Sauce Reduction. 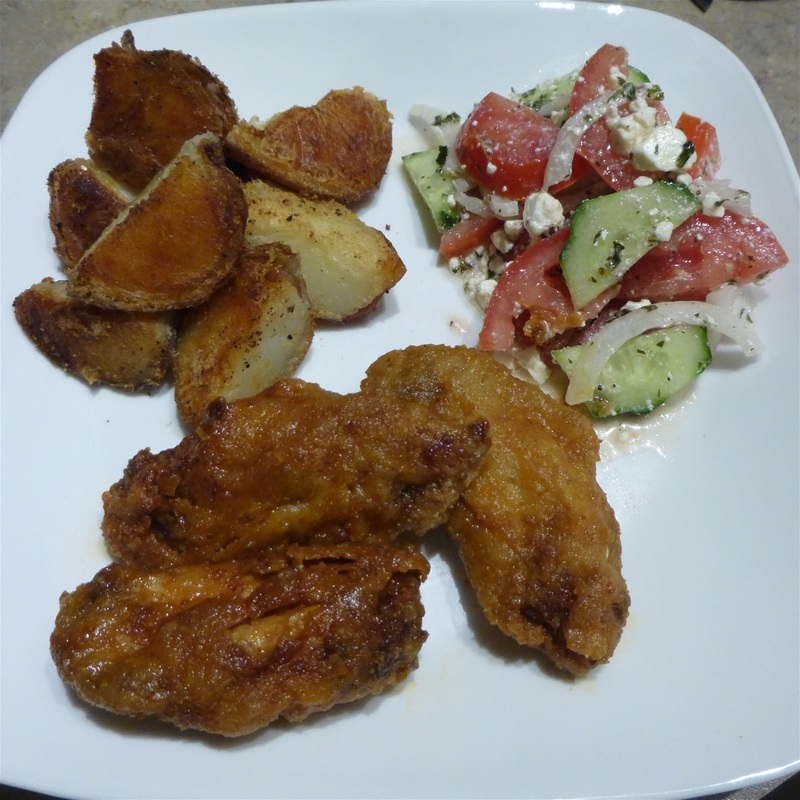 Roasted Red Potatoes, Greek Salad and super crispy homemade Tempura Buffalo Chicken Wings in homemade Buffalo Sauce. 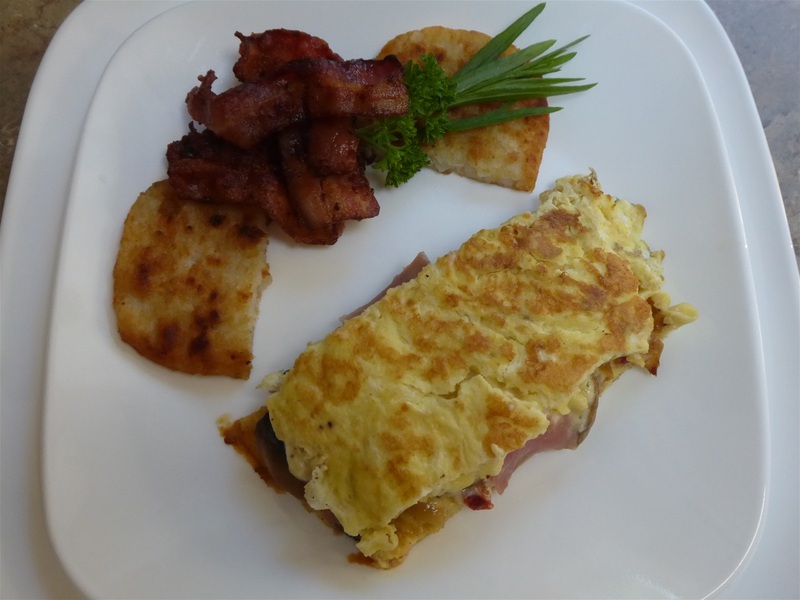 Maple Bacon with Hashbrowns and a slice of our Rosemary Ham/ Boursin Cheese 10 Egg Omelette, garnished with our garden's fresh Tarragon and Parsley. 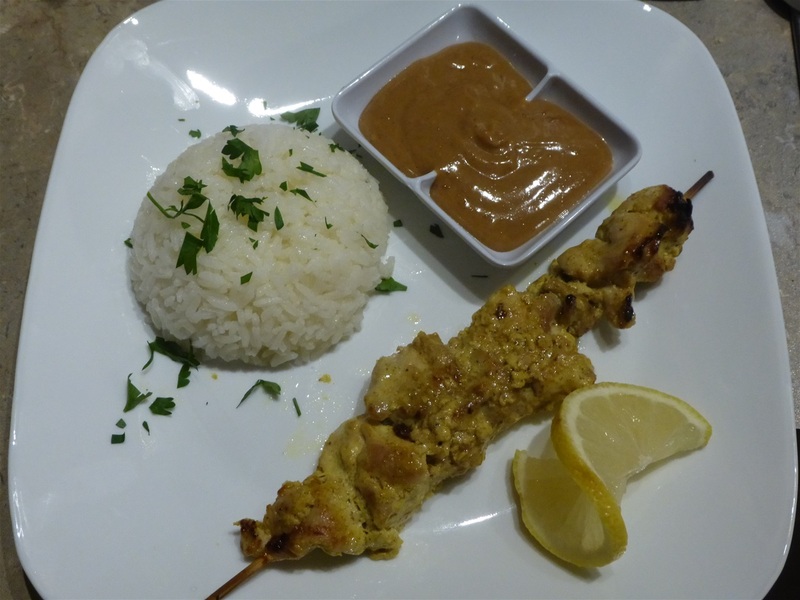 Chicken Thigh Satay marinated in Yogurt/ Garlic and Ginger, served with Peanut Sauce, Steamed Rice and a Side Salad (not seen). 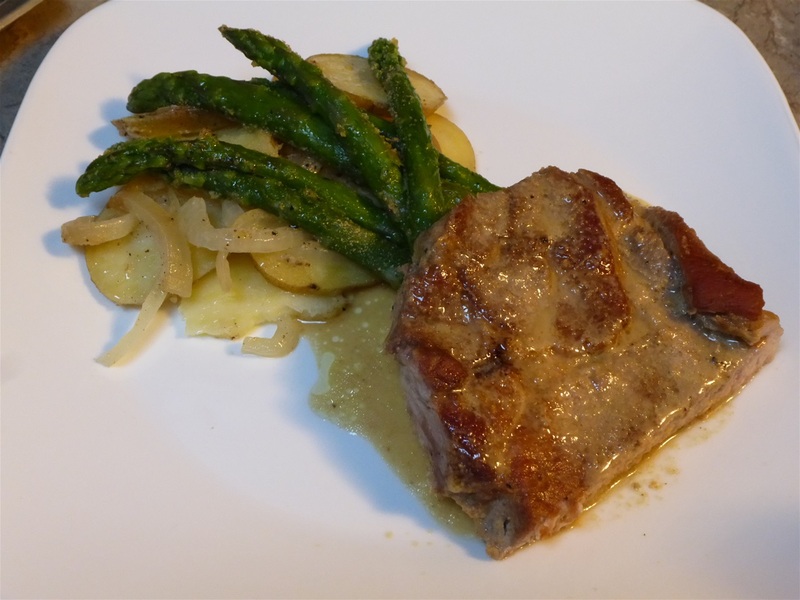 Scalloped Roasted Potatoes with Onions, Steamed Asparagus and a Pork Shoulder Steak in a Brandy Sauce. 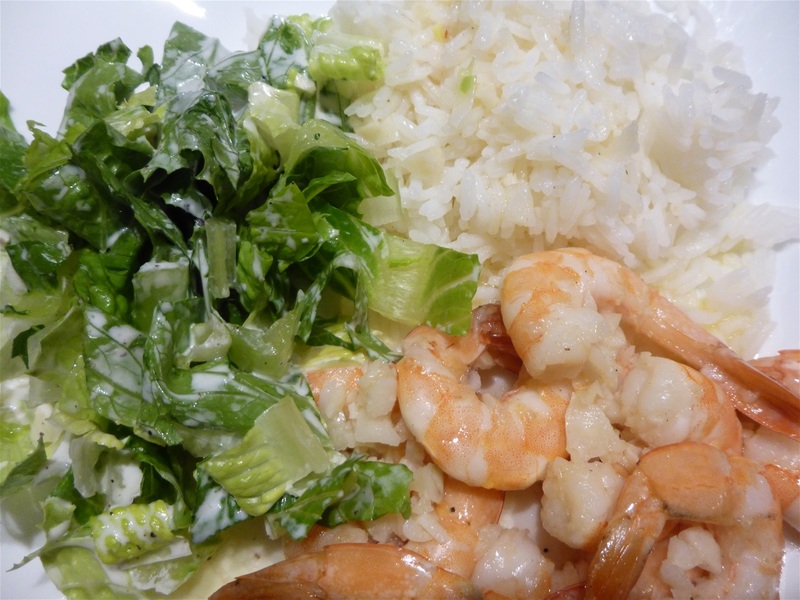 Fresh Shrimp Salad.. Shrimp, Lemon Juice and freshly dried Dilled Mayo topped with Lemon Zest and Pepper on a bed of Romaine Salad. 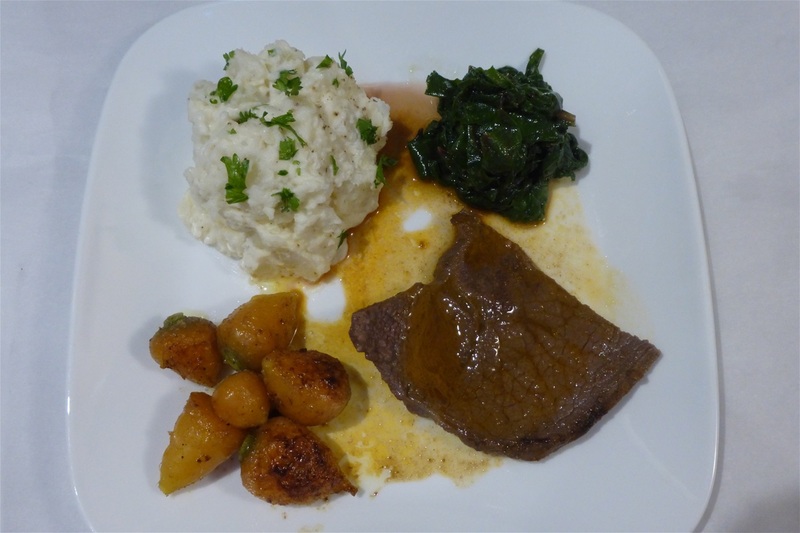 Homemade Potato Salad sprinkled with Parsley, Beet Green Tops, our Roasted "Parisian and Atlas" Carrots served with a South American Seasoned Fried Steak in a little Olive Oil. 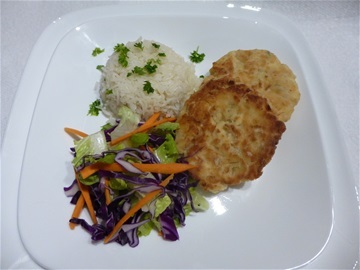 Basmati Lemon Rice with Simple Salad Slaw with Lemon Vinagrette and Halibut/Crab Cakes. 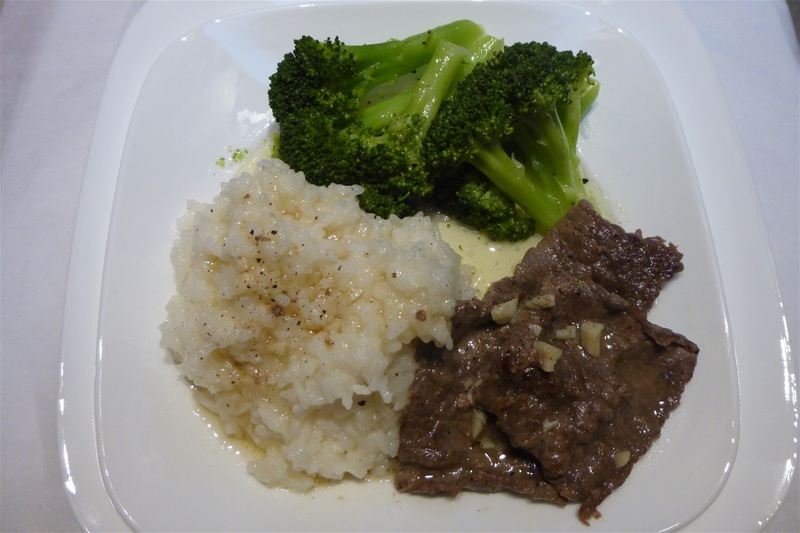 A simple dinner, Rouladen in Garlic/Sherry sauce with sauce drizzled over a bed of Rice and Steamed Brocolli. 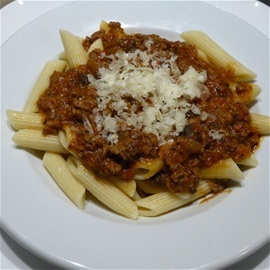 Heirloom Tomato Meat Sauce with Penne Pasta topped with Asiago Cheese. 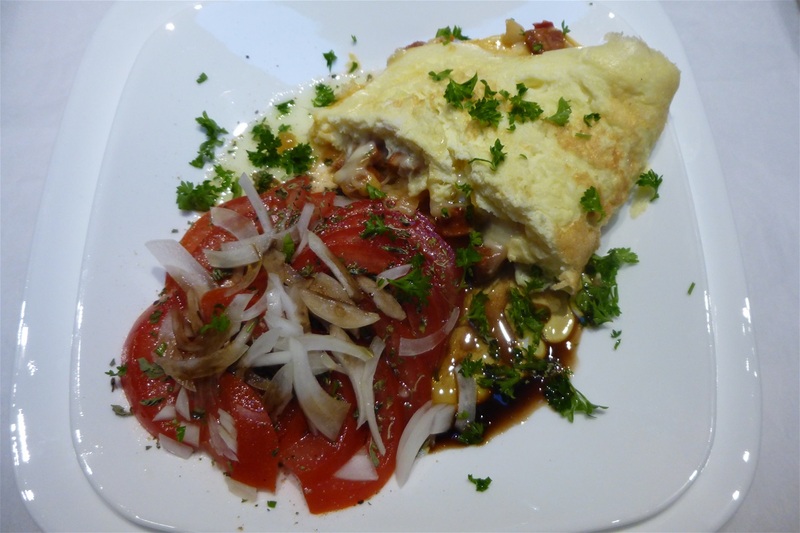 Tomato Salad with our Oregano, Onion and Balsalmic Dressing, accompanied by a Chorizo Sofrito/Fruilano Cheese filled Omelette. 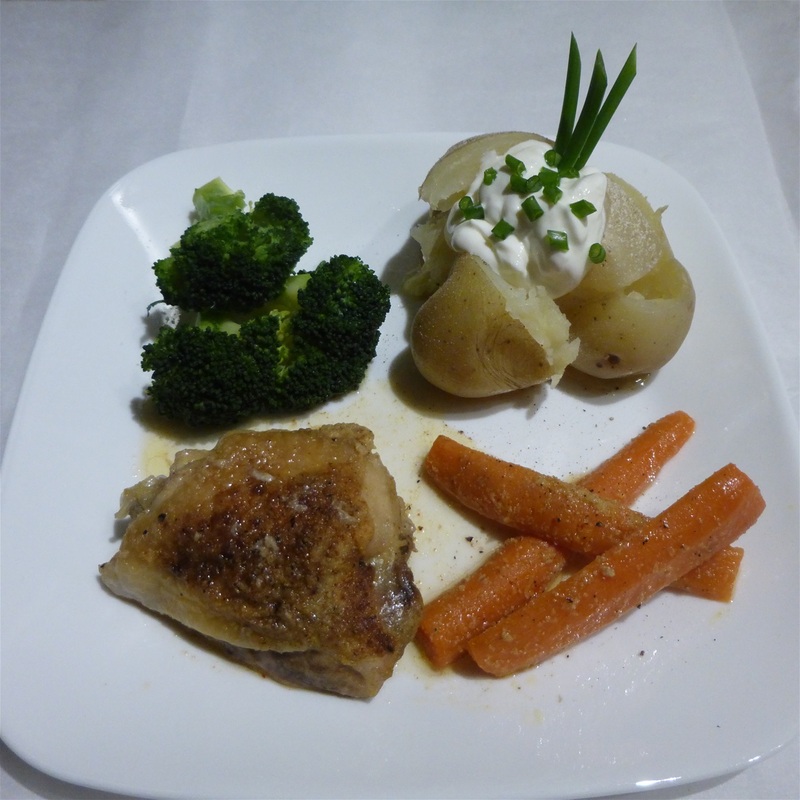 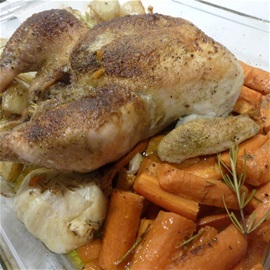 Roasted Rosemary Halal Chicken, Potatoes, Carrots and whole Garlic. 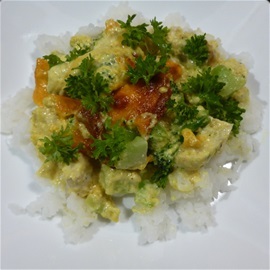 Curried Chicken and Brocolli topped with a little Cheddar and Parsely on a bed of Jasmine Rice. Beef and Ricotta Lasagna with a light Green Salad and our own Honey/Balsalmic Dressing. 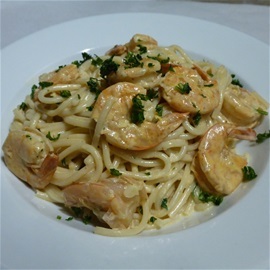 Cajun Prawns with Garlic Alfredo Cilantro Pasta. 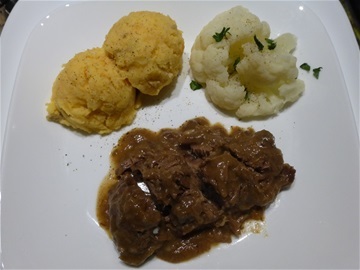 Yam and Yellow Potato Mash, Steamed Cauliflower served with Roasted Inside Round Roast cooked in a Merlot Wine Gravy Sauce. 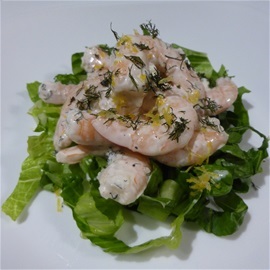 Caesar Salad, Jasmine Rice and Spiced Garlic Prawns. 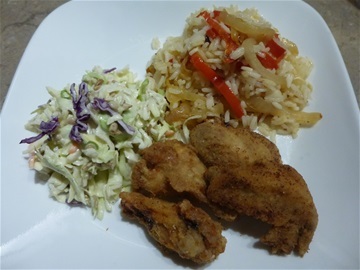 Slaw, Sofrito Rice and Fried Garlic Chicken Wings. 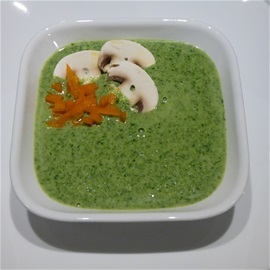 Our Cream of Spinach and Garlic Soup. 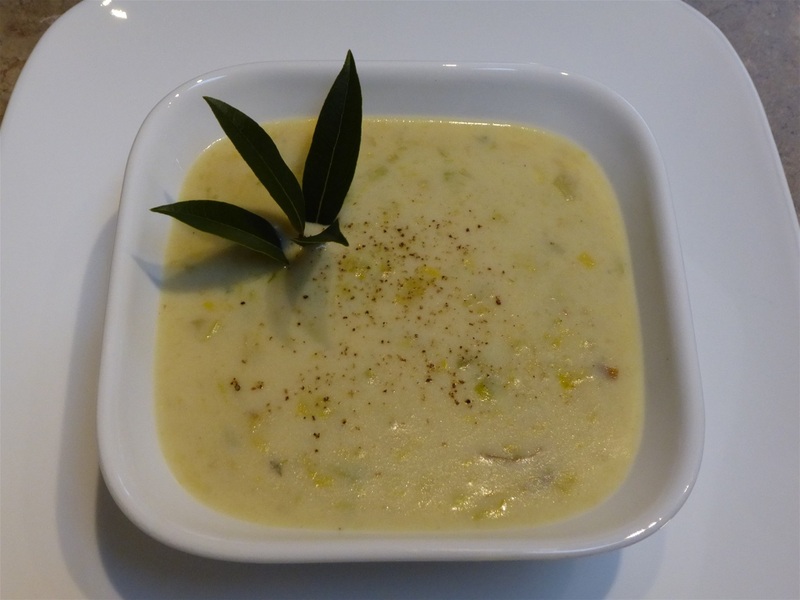 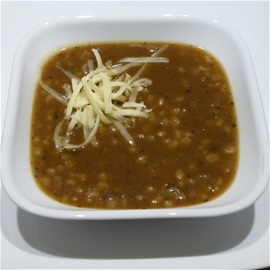 Potato and Leek Soup made with our Portuguese Bay Leaf. 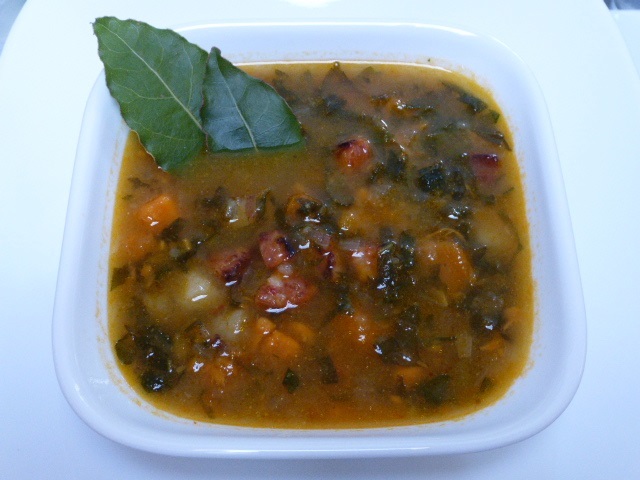 Yam and Kale Chorizo Soup another personal version of our Portuguese Soup "Calde Verde". 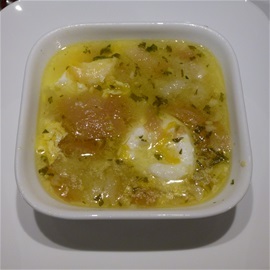 Acorda (asur-da), a Portuguese Bread Soup.... made with our Porcelain Garlic, French Bread, Poached Eggs, our Cilantro, Garlic and Olive Oil Broth, seasoned with Salt and Pepper. 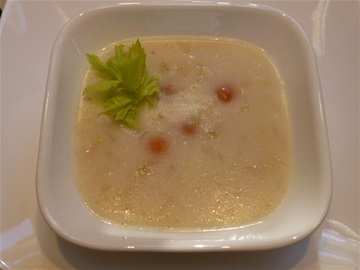 Brandy Chicken/Rice Soup made with Brandy Wine Cream, Onion, Celery, Chicken Stock, our Garlic, our Whole Baby Parisian Carrots, Lemon Juice, Lemon Zest and Seasoning. 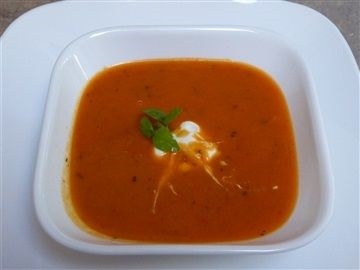 "Heirloom" Tomato Soup using a medley of our tomatoes. *You can view the ongoing slide show above or, you can click on a picture and use the arrows manually to give you more time to read the info under each dish... enjoy.